I was really proud of our students, who spoke so well, so confidently, and so faithfully. This issue doesn't look to go away any time soon. A world so confused about so much can't believe that so many Christians believe that God intends for men and women to have different roles in the church. I was really proud of our Southern Theological Seminary employees who also happen to be students. They spoke so well, so confidently, and so faithfully. Dr. Moore and I are proud to have on the payroll people who reflect our views so consistently. An evangelical world so confused about our Convention's demand that every conservative Christian interpret the Scriptures the way we do about men and women can't believe that we have students at our seminary who so faithfully hold to our interpretation of Scripture; but our employees showed the world that we do. Just trying to do my part to keep our Convention honest (wink). And, by the way, I agree with Southern's views (i.e. President Mohler and her employees) - I just think it is detrimental to attempt to label conservative evangelicals who disagree with us as either "worldly," "liberal," or a threat to evangelicalism, and maybe even sillier to pawn off employees whose future pay is on the line as free thinking "students." We Southern Baptists sometimes act as if truth needs a tight, vigorous defense; but like Spurgeon, I believe truth is like a lion and simply needs to be loosed, not defended. We Southern Baptists need to be humble enough to realize that the more we try to control the presentation of "the lion of truth" to others the more we might need to take a look at whether or not we've simply caged our personal system of beliefs and appointed guardians with instructions to protect her; all the while fearful other Christians might actually ask us to open the cage and prove we really have a lion. Let her loose. Create an atmosphere of healthy debate. 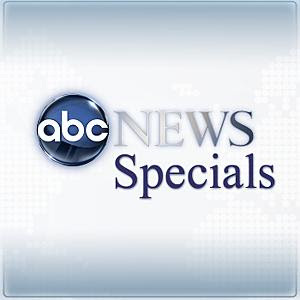 Don't be afraid ABC might actually interview a student who disagrees. And, above all, let's have a Convention where full disclosure is the norm, not the exception. Yesterday I walked across the street and had a Sunday afternoon visit with our next door neighbor Homer Paine and his wife Frona. Most fans of Oklahoma Sooner football know Homer Paine, now 86 years old. Homer is part of what Tom Brokaw called "The Greatest Generation," and what we are experiencing as a dying generation. Homer is a World War II veteran and Battle of the Bulge participant, a two-time all Big-Seven tackle (the Big Seven was the forerunner to the old Big Eight Conference) for the Oklahoma Sooners football team (1946, 1948), a football player that Barry Switzer and Jim Dent profiled in their book The Undefeated, and only one of 338 Oklahomans ever to be drafted to play professional football (Philadelphia Eagles). Homer is a modest man and has been married to his wife Frona for fifty-eight years. 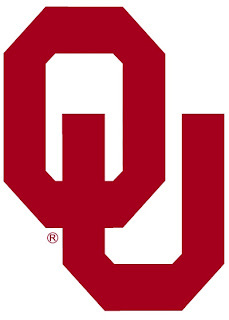 He met Frona while at the University of Oklahoma and after marriage and a brief stint in the National Football League, Homer and Frona moved to Enid where Homer worked for Johnston Grain until his retirement twenty years ago. They have lived across the street from our home since 1968. Both Homer and Frona are a treasure trove of facts regarding Oklahoma Sooner football, Oklahoma politics and Oklahoma history. They know what church everyone attends on our street and they have informed me quite clearly that they like me personally, even though I'm a Baptist pastor. They will discuss anything and everything with me - until I ever try to "make them a Baptist." Then, Frona has informed me, our conversation will always end. Frona told me yesterday that she shivers every time she hears the word "Baptist." When I asked her why she holds such disdain for Baptists, she told me this story. When she was dating Homer while attending the University of Oklahoma, she was part of a female quartet that sang in all the churches around the Norman area. One Sunday the quartet had been invited by the famous and beloved Southern Baptist pastor, Dr. E.F. Hallock (affectionately known as "Preacher Hallock), pastor of First Baptist Church, Norman Oklahoma, to sing at the services there. Frona said that in the morning service, just before they were to sing, communion was served. As the plate was being passed to the four guests who were seated on the front row, Frona took the plate and reached for the communion bread. Frona said she was startled to experience a "slap on the hand" by the woman seated next to her. The woman, a member of First Baptist Church who knew Frona, said, "Frona, you can't take that here. It's only for us who are members." Frona told me that from her Christian tradition (Methodist), communion was for all believers. Frona said what bothered her the most was not the fact she didn't know "Baptist" tradition, but that this Southern Baptist woman felt the freedom to slap her on the hand and tell her what she could not do in the middle of a worship service that Frona had been invited to attend. From that Sunday morning sixty five years ago in Norman, Oklahoma until this day, Frona said she gets a sick feeling in her stomach when she hears the word "Baptist." Her story has made me pause to consider if we who are Southern Baptists have spent far too much time telling people what it is what we are against, emphasizing those things that differentiate us from them, and slapping the hands of every person who is not like us that we have lost sight of the greatest commandment to love one another. If I could articulate a simple reason why I continue to blog it is to convince the Fronas of this world that though there may be a few Southern Baptists who wish to continually slap other Christians on the hand, there are far more of us Southern Baptists who wish to emphasize those things we have in common with other evangelicals and we accept the differences without any slapping. I wish to help the Fronas of this world to see that most Southern Baptists view our identity as Christian first, and if our Baptist identity ever causes us to slap people who disagree, then it's time for us to take a fresh look at whether or not we have lost sight of who we are in Christ. That, in short, is why I blog. Periodically Istoria Ministries will offer a doctrinal post for debate and discussion. Many Christians have little endurance when it comes to doctrinal reading and even less comprehension of how doctrine affects behavior. This apathy for doctrine has far-reaching harmful consequences. For this reason I challenge you to carefully read the following article as it reveals a doctrinal debate within the Southern Baptist Convention that has direct consequences on our Convention’s attitude and behavior towards women. Let me repeat the last sentence for clarity: There is a current doctrinal debate within the SBC that directly affects our Convention’s attitude and behavior toward women in general. Arius was a Christian who lived and taught in Alexandria, Egypt (250-336 AD). He became the leading proponent of a heretical teaching that would later be identified with his name. Arianism is the belief that God the Father and the Son did not exist together equally and eternally, but that Jesus was created by God the Father and is eternally subordinate to the Father. In plain English, Arianism teaches Jesus is inherently inferior to God the Father. Some Christians wrongly confuse Arianism with Aryanism. The latter is the belief that the original speakers of the Indo-European languages and their descendants up to the present day constitute a distinctive, superior race. Hitler was an Aryan, but not an Arian. Aryanism is a belief in human racial superiority. Arianism is a belief in divine patriarchal hierarchy. In 325 AD, Christian leaders gathered in the city of Nicaea (modern-day Iznik, Turkey) and debated the doctrine of the Trinity. 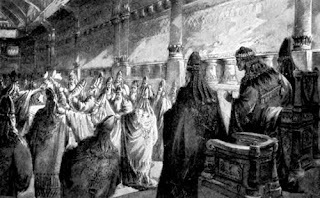 The Council of Nicaea convened on May 20, 325 AD with around 300 pastors present to discuss the Arian Controversy. After meeting for a solid month, these pastors issued on June 20, 325 AD what we now call The Nicene Creed. The Nicene Creed is the clearest and most accepted statement on the divinity of Christ in the history of the church. The Council declared that the Father and the Son are of the same substance and are co-eternal, believing this to be the biblical and traditional Christian teaching handed down from the Apostles. The Nicaea Council believed that Arianism destroys the unity of the Godhead, and makes the Son unequal to the Father, in contravention of the Scriptures ("The Father and I are one" John 10:30). The Council of Nicaea ended with the Christian pastors declaring Arius and his followers heretics. The Council on Biblical Manhood and Womanhood is composed of many Southern Baptists who are introducing to evangelicalism a novel, if not peculiar, view of Christ which has more in common with Arianism than the historic, orthodox view of Christ’s person. The theologians and teachers who write for the CBMW are teaching what they call “the eternal subordination of the Son to the Father” as a basis for their anti-New Testament, patriarchal view that the female is always to be subordinate to the male. Women’s subordination to men, according to the teachings of CBMW, is established because it reflects the truth of Trinity. Women will always be subordinate to men and wives will always be subordinate to husbands because Jesus is eternally subordinate to the Father. That is the scary doctrine being promoted by leading Southern Baptists, a doctrine deemed heresy by the church nearly two millennia ago, and a doctrine that has disastrous consequences for women in the Southern Baptist Convention. The Bible calls man's desire to "rule over a woman" a sin. The notion that God designed leaders to be males, and that He designed women in the role of submissive servants to men, is a direct contradiction of the teachings of Jesus Christ. Some Southern Baptists, like Paige Patterson, Al Mohler, and Wayne Grudem, believe and teach that the man is equated to God the Father in hierarchical authority. The woman can be equated to God the Son in humble submission. Just as the Son is eternally subordinate to the Father, so the woman is to be eternally subordinate to the man. For this reason, the Council of Biblical Manhood and Womanhood proposes that God’s unchanging ideal is the permanent subordination of women. Their teaching is in error, and it contradicts the teaching of the New Testament. The New Testament teaches that followers of Jesus Christ - regardless of gender - are to submit "one to another" (Ephesians 5:21). It is as natural in a Christian home for a man to submit to his wife in selfless, humble service as it is for the woman to submit to her husband in selfless, humble service. In fact, the great leaders in the Kingdom - male and female - are those who are servants to all (Matthew 5:27). While there is no denial that there are differences between men and women, to base the “subordination” of women to men on the alleged eternal subordination of the Son to God the Father borders on an Arian view of the nature of Christ. To say Christ is “subordinate” to the Father means he has lesser (sub) authority, lesser (sub) superiority, lesser (sub) ordination. There is a great deal that will be said in the Southern Baptist Convention and the evangelical world as a whole in the coming months and years about the role of women in society, the church, and the home. Sadly, there is a tendency for those who hold to the hierarchical view of a man’s authority over women to label those who disagree with them as liberal. 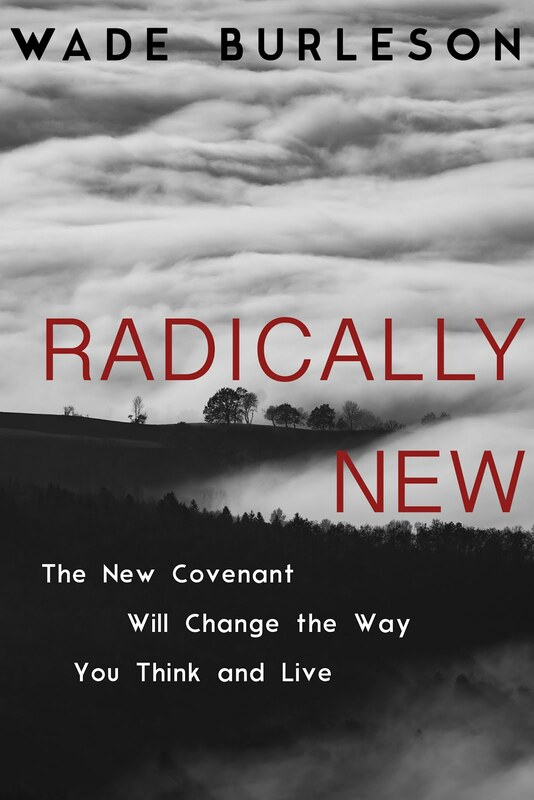 I've come to believe that those Christians who truly believe the teachings of Jesus Christ and who truly hold to the infallibility of the New Covenant Scriptures are at the forefront of empowering and encouraging women. Those who follow Arian's teachings more than Christ's teachings refuse to let a woman teach Hebrew to men because of her lesser "spiritual authority" They refuse to allow a woman to hold a supervisor’s position in the International Mission Board because of her need to be subordinate to men and receive orders from men, not give them. They advocate that women staying out of the work force because of their subordination to men in society, and call "liberal" those who oppose their alleged non-sinful "roles" of men and women. To these Southern Baptist modern Arians, women are viewed and treated as the “lesser” in terms of “authority” when compared to men, and anyone who dares disagree with them is considered a "liberal" Christian or a pagan. It’s time for conservative, evangelical Bible-believing Christians who believe in the equality of men and women to realize that the great error in this debate is not a denial of the sufficiency, the authority, and the infallibility of God's Word by those who hold to gender equality. Rather, the great error in this modern debate is the promotion of semi-Arianism - and a denial of Christ's clear teaching in the New Covenant - by those who wish to force their hierachical views of male authority upon the church, the home and society. Peter Schemm, a member of the Council for Biblical Manhood and Womanhood, argues that there is room within Christian orthodoxy for the belief in "the eternal subordination of Christ." He argues that people like Giles (and me) who oppose "eternal subordination" and view it as semi-Arianism are simply speaking too harshly for "there is room for both views within evangelicalism." It is ironic that those who have an affinity for calling conservative evangelicals who disagree with them "liberal" are now proposing tolerance and acceptance of their unique views of the Trinity. I do believe that we should accept our brothers (and a few sisters) in Christ who are arguing for "eternal subordination," and we should always treat them with Christian love and respect, but we should never be shy to challenge their unorthodox views of the Trinity. Arius lost the debate in 325 AD, and I predict semi-Arianism will eventually be on the losing side of this current debate. The Southern Baptist Convention has been hit with a recent slate of bad publicity due to a handful of SBC leaders who seem to be directing the SBC at their personal whims. It's fine for Southern Baptist individuals, seminaries and churches to hold to extra-biblical, narrow views regarding church life and culture, just don't force it on all Southern Baptists. For for that matter, even if a handful of Southern Baptists wish to defend their narrow views as biblical (not "extra"-biblical) and their peculiar tenets of Baptist Identity as "historically Baptist" (and not "narrow"), that's just fine with us too - as long as there is a spirit of humility in those Southern Baptists to understand that there are others who disagree with their conclusions. Southern Baptists cooperate around the essentials of the gospel for the sake of missions and evangelism, and many of us will not remain silent when the SBC begins to demand conformity on matters that have historically never been a test of fellowship. I am hopeful that a step taken yesterday by Oklahoma Southern Baptists will have long reaching consequences in terms of grassroots involvement and increased cooperation within the Southern Baptist Convention. The Board of Directors of the Baptist General Convention overwhelmingly passed a motion to appoint a task force to . . .
"(E)xamine hosting satellite conventions and/or LIVE interactive internet broadcasts in conjunction with the Baptist General Convention of Oklahoma begining at the 2010 Baptist General Convention." The BGCO Board of Directors motion went further . . .
"We request the task force to design the report and/or recommendations as a model for the Southern Baptist Convention to possibly begin implementing satellite conventions and/or LIVE interactive internet broadcasts in conjunction with the annual Southern Baptist Convention meeting." The technology is already available. These satellite conventions could be held at churches, civic arenas or associational mission offices. Hundreds of people are already observing the church services, conventions and meetings LIVE via the internet - all we need to do is implement the technology to allow those viewers who are duly elected messengers to vote online. It's not hard - it just takes planning, and the BGCO is beginning the process for everyone. By the way, Oklahoma Southern Baptists have a very good track record of implementing creative, cutting edge ministry that is later picked up by other states and the Southern Baptist Convention. We regularly hear our SBC leaders say that they exist to "serve the churches." We all know that the highest authority in our Convention is the local church. When Southern Baptist church members can participate in the Convention without the high cost of travel expenses, we get grassroots involvement. Imagine for a moment the possibilities for our Convention. 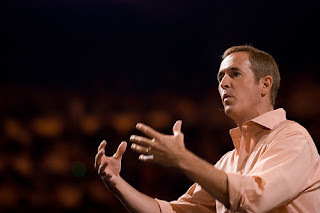 What would happen if those missional, cutting edge churches that are being planted by our young Southern Baptist pastors and evangelists (like Andy Stanley pictured above) could go across the street, watch the Convention, and vote their conscience? What would happen if those older Southern Baptists who are in love with missions, but don't like the narrowness they see creeping into Baptist life, could be elected as messengers and go down the street rather than across the country to participate in the process? Can you imagaine our 5,500 missinaries around the world participating in the Convention? What would happen if people came to auditoriums all across the country, or logged onto the Internet, to join in the prayers, praise and preaching that takes place at our national and state Conventions? I think the action of Oklahoma Southern Baptists yesterday may well be a defining moment in our Convention. It will be very interesting to hear the arguments of those who are against the idea. Pay close attention to the debate over the BGCO's coming report and recommendations. I am excited about the far reaching impact upon both the Baptist General Convention of Oklahoma and the entire Southern Baptist Convention because of the BGCO Board of Directors' foresight and wisdom displayed in the adoption of this motion. (1). 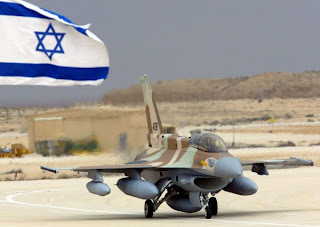 This summer Israel had placed drones and personnel on Georgia Air Force bases in preparation for a preemptive strike on Iran's nuclear facilities. (2). Georgia and the United States were providing assistance and intelligence to help Israel in the attack, planned for this fall or next spring. (3). Russia invaded Georgia under the pretext of preventing "border skirmishes," but in reality took an aggressive approach, at the request of Iran, in order to shut down Israel's preparation for such an attack. (4). The United States, stretched thin due to wars in Iraq and Afghanistan are now pulling back from any assistance to Israel, wary of causing any conflict with either or Russia, Syria or Iran. (5). Israel will now act on their own. These facts reveal to us that the next person who will serve as President of the United States will need to be a person of resolve and strength. There could be events in the Middle East within the next four years (or four months) that very well may cause the war in Iraq to look like war games compared to what could happen if conflict between the Israel and the alliance of Russia/Iran/and Syria breaks out. The United States, no matter what they say now, will not sit on the sidelines. For this reason, all of us ought to be very sure of the reasons why we vote for whom we desire to see President. More is at stake than just the economy. There was a little noticed Associated Press article released last month entitled Pakastani Lawmaker Defends Honor Killings. The article was so stunning to me, so outrageous, so inhumane I continue to be shocked that not more has been said about these "honor" killings in the West. 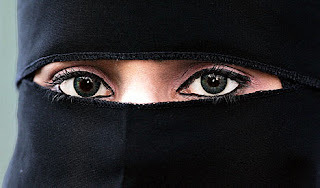 Five young women in Pakistan were buried alive because they wanted to choose their own husbands . . .
"These are centuries-old traditions and I will continue to defend them," Israr Ullah Zehri, who is a lawmaker in Pakastani Parliament and represents Baluchistan province, said Saturday. "Only those who indulge in immoral acts should be afraid." What the Pakastani lawmaker calls "immoral" are young women having the gall to choose their husbands for themselves, rather than "submitting" to the will and authority of their fathers. My question is simple: Why do these fundamentalists feel compelled to call "immoral" violations of their cultural customs? Whose "honor" is at stake? The women, three of whom were teenagers, were first shot and then thrown into a ditch They were still breathing as their bodies were covered with rocks and mud, according media reports and human rights activists, who said their only "crime" was that they wished to marry men of their own choosing. 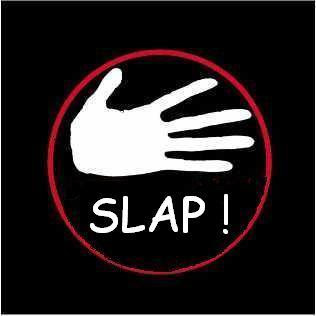 Zehri (said that) . . . tribal traditions helped stop obscenity and then asked fellow lawmakers not to make a big fuss about it. How sad. How so very sad. Unless people stand up and oppose those who seek to impose their "cultural customs" on society, then "lawmakers" like Zehri, who justify such "cultural demands" with appeals to "morality," will end up ruling everyone. Will God Choose Not To Save My Loved Ones? I received a letter from a delightful believer in our church who is originally from Italy. She was an executive with a manufacturing firm that sells goods to the Far East, including Hong Kong and China, but she gave up her career to marry and raise kids. She is a graduate of the University in Venice, Italy, and she and her United States Air Force officer are stationed in Enid, Oklahoma with their two small boys. This young lady became a believer as an adult and she credits the writings of C.S. Lewis for leading her to an understanding of what it means to be a Christian. She is a vociferous reader, multi-lingual, and quite intelligent. She emailed me a question about the salvation of her boys, one that I thought worthy of a detailed response which I share below. I've been meaning to ask you a question for a long time - it concerns one of the books you gave me, "Chosen for Life" by Sam Storms. I understand what it says, and it makes sense to me; I absolutely believe I was chosen by God vs. choosing God myself, because nothing in my (non-religious) nature and of the circumstances of my life and upbringing justify my search for Him. However: the thought that those whom God has not chosen to be saved won't be saved is frightening; for as long as it's up to a human being to change their mind, that can happen, even in the last moments of their lives; but God's will does not change; and if my own child or my parents have not been chosen, nothing, not prayers, not offering information about Jesus and salvation, will make a difference. This seems very sad, that someone can't choose God because God has not chosen them. Granted, we don't know who the un-chosen are (save for a few notable ecceptions, I imagine: Hitler, Ted Bundy), for God may call someone the split second before their car crashes under a truck. But the fact remains that it's perfectly possible someone we love may not be chosen, and that's irrevocable. How do you come to terms with this? You write, "This seems very sad, that someone can't choose God because God has not chosen them." It would seem very, very sad to me too – if it were true as you describe it in your letter. You write as if people will one day decide to trust Christ, but they will be unable to be saved because God did not "elect" them. That scenario just can't happen. It is impossible both biblically and logically. Let me explain. “Choosing God” is a matter of the heart. Human beings are "free moral agents," which means we humans are always free to choose whatever it is we desire. Nobody, nothing, not one thing, even God, impinges on that freedom. This "freedom" to choose between moral good and evil is chiefly what it means to be created in "God's image." So, it is simply not true that a human being "cannot" choose Christ or become a follower of Christ if he desires it - if he desires Christ, he can choose Christ. This freedom to choose what you desire is self evident. 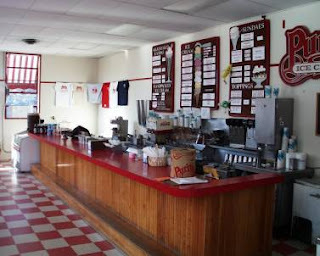 For instance, if you were on a diet and you walked by the ice cream store, you would be faced with a choice. “Do I continue my diet or do I turn into the store and buy ice cream?” I can tell you what you will choose - and for that matter what every single other human being will choose when he or she is faced with the same decision - every single time. I'll do it right now. I will tell you what you will choose the next time you are on a diet and you walk by the ice cream store and this question comes to you: "Do I turn in and eat ice cream, or do I keep on walking and pass it up?" You will choose to do that which is the strongest desire in in your heart. Human beings always choose what they desire the most. The chooser always follows the heart. If the thought of eating rich, creamy ice cream (and the enjoyment of it) is greater than the desire to lose weight, you will turn in and eat the ice cream every time. Nobody forces you to choose what you choose. This is what it means to be "created in the image of God." You are a free moral agent and you choose what is your greatest desire. That’s true even when a robber holds a gun to your head and says, “Your wallet or your life!” The robber cannot FORCE you to choose to give your wallet without him shooting you. If you have a great desire to live, you will give up your wallet, but frankly, if your desire to die is greater, you may very well choose to hang on to your wallet. The robber is NOT in control of your choice. You are. So it is with God. He tells all men everywhere to repent. He commands sinners to “embrace His Son.” And whosoever calls upon the name of the Lord, repents of his sin, and embraces Jesus Christ will be saved. That is a promise! Yet, the Bible says that all of us like sheep have gone astray. There is nobody who desires the things of God. God's things are “foolishness” (tasteless) to our natural minds because of selfish, sinful hearts. Therefore, no man naturally chooses God (Romans 3:11) – but that is not God’s fault, it is man’s fault. We made ourselves rebels. We desire our sin. We desire our independence from God. We desire to hang on to the things of this life. We do not desire God. We love our sinful, selfish, idolatrous ways because the desires of our hearts are always sinful, selfish and idolatrous. We see no beauty in Christ, and we will not naturally choose Christ. Election teaches us that unless God were to choose to give us His grace – to open our eyes of understanding – cause us to see the beauty and glory of Christ – then none of us would ever choose Him. But when His grace truly descends on our hearts and we see Christ's beauty, then we freely and willingly choose to come to Christ. Nobody forces us - we desire Christ because of God's active grace in us. We choose Christ because of God's work in softening our heart (or, in biblical language "turning the heart of stone into a heart of flesh," or "changing the leper's spots"). The Bible calls this gracious act of God in changing a sinner’s heart “regeneration,” or “the new birth,” or “the gift of the Spirit.” The work of the Spirit in the heart of a sinner precedes the free choice of that sinner to embrace Christ, for without a change of heart, we would never desire Christ. Therefore, if a sinner chooses Christ, he must give God the credit; but if a sinner rejects Christ, he must take all the blame because of his own sinful heart. A man's heart is hard by his own choice. God did not initially create man sinful. Man chose that path. We hardened our own hearts. It began with Adam, but every human being since then has loved his sinful state, believing nothing to be wrong. A sinner will only desire Christ when his hardened, blind heart is softened by God's amazing grace. That’s right - in so far as it goes. You, a lost man, can't choose God because you don't desire Him, and your lack of desire is your fault. You refusal to choose Christ is simply the natural consequence of your chooser following your sinful desires. But you COULD choose to follow after Christ if you desired to!. You have a mind, a mouth, an intellect, a chooser, a feeler - you are a human being; you are a free moral agent. The problem is simply that the sinful desires of your heart cause you to love your sin and hate the God who created you. Again, the problem is your sinful desires, and that is YOUR problem. Human beings are the cause of that sin, not God. Adam was the originator of it, and you are willing participant in it. You are freely, willingly and continually choosing to embrace your sin and reject Christ. The lost man may respond, "But if I believed what you are saying, then I can't desire Christ until my sinful, wicked heart is changed so that I can desire Him." Yes. That's right. So tell me, do you wish for God to remove the wickedness and sin from your heart, turn it soft toward the things of God, and implan within you the desire for Christ to enable you to choose Him? If you, a lost person, don't even desire for God to do the work of removing the wickedness in your life that prevents your from desiring Christ, then why are you blaming God for not giving to you the very thing you REFUSE TO ASK FOR? But the good news is this. 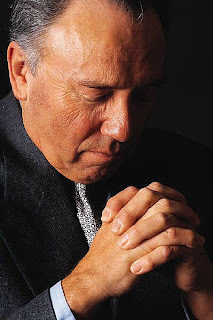 If a lost man, whose heart is hard, and whose mind comprehends his totally inability to see the beauty of Christ, gets on his knees and asks God to remove the wickedness that blinds him, to soften the heart that deceives him about Christ, and to create in him a DESIRE FOR CHRIST - that sinner will be transformed by the power of God, even without voicing 'the sinner's prayer.' There is no formula to this. The Spirit of God moves in power, without constraint and in a variety of ways among His people. I'd like to give you a final word about your loved ones who do not yet know Christ, and seek to speak to your fears that God may not ever soften their hearts. This is where “the effectual, fervent prayers of a righteous person avails much.” There are some people, particularly loved ones and friends that are blind to Christ. But I believe the Bible teaches that when a child of God prays fervently (which speaks of a burdened heart) for that loved one or family member who is lost, then that lost loved one will effectually and ultimately be saved. The very fact that our Heavenly Father has put the soul of that person as a burden upon our hearts, and the fact that we are praying for that person’s salvation, is all evidence God intends to save. He burdened us to pray for it so we could get in on the rich blessing of seeing a loved one saved, and the reason He doesn’t save that loved one until we fervently and effectually pray is because if He were to save a loved one WITHOUT us praying for it to happen, we might actually think our smooth words, or our great intellect, or our ability to persuade convinced our loved one to choose Christ. Only the Spirit of God has the power to soften a heart and regenerate the sinner. So, therefore, when sinners are saved – God gets the glory. When sinners die and are condemned – the blame for that condemnation falls on man, not God. If you say, "But God could regenerate the hearts of every single person that ever lived if He wanted to!" Yes, He could. And the universalist says he will. But the Bible says He won't. If you ask me why He doesn't regenerate the heart of every single fallen human being, I respond like Spurgeon, "What baffles me is not that God has chosen not to redeem every single sinner, but that He has actually chosen to redeem even one." Thankfully, He has chosen to redeem "an innumerable company," a "sea of people," a vast "kingdom" - including those for whom you pray. I'm not referring to those old Wednesay night prayers that God would save the world (with no particular names of real individuals), but prayers that He would save that person or those people for whom you petition, by name, for God to save. You are His child. You are given the great treasure of pleading with the King to regenerate the hearts of your loved ones. Your heavenly Father will not turn a deaf ear to your petitions. And, if you are a Christian who has no burden for the lost (but of course I know you do, but now I write for others), then I would urge you to begin praying that God would give you a burden for the lost. Since God is in the business of saving sinners, and since you, His child, are not in the practice of praying for the salvation of specific sinners, then it would seem evident to me that you are not that much involved in your Father's business. Thankfully though, I know you are involved in your Father's business. And those prayers you have been offering up for your kids and family members qualify as having an interest in God's business of saving sinners. This is why I know your prayers will be answered. God is the one who burdened you with His business in the first place. He always answers the prayers that are prayed that begin in Heaven. So, when your kids come to the time when they choose Christ, just remember I told you they would, and that the reason they would is because of God - and the evidence I have that He is choosing to save them is the burden their mom has for them. My friend and Emmanuel's Executive Pastor Dan Heath sent to me and our entire staff some surprising news footage this afternoon. Just click on the small play button at the bottom left of the viewer to watch the shocking video footage. I personally don't think Senators McCain and Obama have as much to worry about as the reporter seems to think they do. 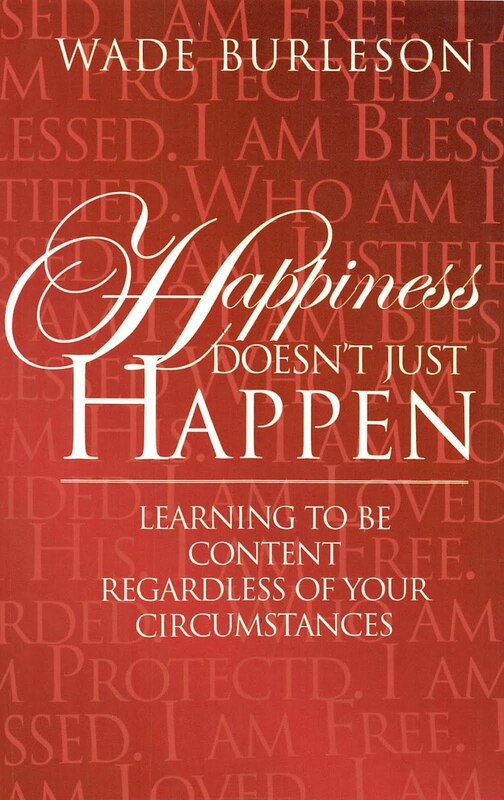 James wrote about the human experience, "For we all stumble in many ways" (James 3:2). 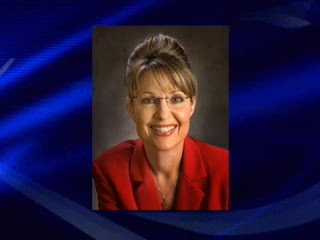 Yet, to listen to some of the political pundits and media experts, Vice-Presidential Candidate Sarah Palin is the only one who has ever run for national office and had family problems, personal problems, or conflict of interest problems. Sadly, some who lean left have even suggested she is a bad mother, deceitful, and vindictive. It is almost an axiom of human nature that when you disagree with one's positions, are fearful of the effect your opponent may have on altering the big picture, you attack the character of the person you wish to defeat. Unfortunately, the art of character assassination in Christian circles is alive and well. Whether it be from the one end of the spectrum of an issue under debate or the opposite end (i.e. "the IMB policies," "sole membership," "Resolution 5," etc . . . ), there is a tendency within the Southern Baptist Convention to castigate the character of the person who disagrees with you. After I wrote a post about leading a woman and her husband to faith in Jesus Christ and the resultant restoration of their marriage, my worship pastor, Dan Heath, told me he ran into one of our Southern Baptist conservative leaders at the airport who asked Dan what it was like to to work with a pastor who advocated drinking. According to Dan, the intonation in which this was said, in the presence of others, gave the impression I was some kind of drunk. Never mind the fact that the post is self-explanatory, never mind the fact that this woman came to faith in Christ and is now an active, serving member of our fellowship who herself abstains from drunkenness, and never mind the fact that this Conservative leader has never spoken to me about the issue, the fact of the matter is, when other people are being influenced to take a different position than your's, it is tempting to attack the character of your opponent. So it is with the Democrat leadership. They must be afraid of Sarah Palin. They must recognize that a large number of their female constintuency with Lieberman's conservative leanings will vote for Palin because they like her, and they like what she is saying on the issues. What then can those Democratic strategists do? Well, after softening their plank to advocate homosexual marriage, condone late term abortions, and proffer other immoral issues as their official platform, they will attack Palin's character - because her seventeen year old daughter is pregnant. Somehow, there is humor in all this. May all of us involved with political processess, whether they be national and secular, or denominational and religious, focus on the issues and leave the character attacks at home. Southern Baptists historically have believed in and defended the autonomy of the local church, the independence of Southern Baptist agencies from one another, and the grassroots power held by Southern Baptists at large. 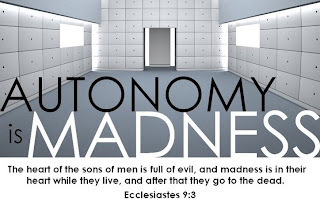 Some conservative Southern Baptist leaders, joining other mainlain demoninations, act as if autonomy is madness. From our beginnings, Southern Baptists have differed from other denominations in polity and governance in that we have never had a system of top/down authority where an ecclesiastical head, synod, or other "authoritative" body could ever instruct, demand or otherwise control any Southern Baptist entity or church. But that seems to be changing. Historically, boards of trustees govern Southern Baptist entitities and congregations are the highest authority in the church. Autonomous Southern Baptist churches choose to cooperate on missions and evangelism around the world, and elect trustees who govern our Convention's agencies. If a Southern Baptist agency becomes askew and needs correction, then individual trustees must do what they can to correct the problem. Then, if the problem is not corrected, the Southern Baptist Convention must replace trustees with those who will reflect the mind and heart of the highest authority in the Southern Baptist Convention - the local churches that compose our Convention. If and when there comes a time or occasion that the Southern Baptist Convention as a whole violates an inviolable (sacred) Baptist principle, then the only alternative for the Baptist who disagrees is to leave the Southern Baptist Convention. For this reason, our Convention, that is our local, autonomous churches who form the Southern Baptist Convention, should be very cautious about adopting any motion that takes "authority" away from autonomous churches and places it in the hands of a a few. Concerns over "liberal" moves among Southern Baptist agencies have led our Convention to adopt a centralized form of control that seems to be destroying the fabric of Southern Baptist polity as we once knew it. Demands that Southern Baptist churches, pastors, trustees "conform" to doctrinal decrees issued from the top down has more in common to Roman Catholic papal bulls than the historic practice of autonomous Baptist churches issuing individual church confessions and cooperating in missions with other autonomuos Baptist churches around a basic confession of faith that left off tertiary doctrines. That's not to say tertiary doctrines are not important to local churches. Rather, to preserve the polity of individual autonomous churches and the spirit of cooperation in mission tasks, Southern Baptists have historically resisted the move toward a centralized hierachial authority on matters of doctrine. This centralized demand for "doctrinal conformity" began with the President of the Southern Baptist Convention in 1998 appointing a Baptist Faith and Message that reflected a "conservative" viewpoint on doctrinal matters historically absent from Baptist Confessions. At the time I was bothered by this demand for doctrinal conformity, but said little because of my personal agreement with the doctrine. What bothered me was the forced separation from those who disagreed by using the document as a club of accountability against autonomous churches. That seemed to me, again, to be more Roman Catholic in polity than Baptist. But in recent months, I have seen how the "centralized authority" of Southern Baptists has become far more dangerous. Recent doctrinal "bulls" on issues such as closed communion, the cessation of spiritual gifts, the authority of the baptizer, the prohibition of women teaching men, and other such "doctrines" which go even beyond the 2000 BFM are being forced on cooperating Southern Baptist churches by Southern Baptist trustee boards at the International Mission Board, the North American Mission Board, and some of our Southern Baptist seminaries. The rationale of these trustees is that they are the "authority" on such matters, and the decisions of individual, autonomous Southern Baptist churches have no merit. Southern Baptists in the pew don't seem to really care about historic Baptist polity when it comes to doctrinal matters. But, one of these days, a hurricane in Gulf may wake us all up. In 2005 the Southern Baptist Convention approved a recommendation called "sole membership." Sole membership grants legal ownership of every Southern Baptist agency to the Southern Baptist Convention. As explained by the Convention's attorneys at the time, sole membership, gives to the Southern Baptist Convention "the right to approve charter amendment, and to approve the dissolution, merger, or sale of the institution. This sounds really good - if the Convention as a whole makes those decisions. But in reality, the Executive Committee of the Southern Baptist acts "as the Convention between Conventions," and decisions can be made by the Executive Committee without full Convention approval. This works fine and dandy when the Executive Committee takes actions respectful of, and consistent with, Baptist principles and Convention wishes, and when the Executive Committee is composed of men and women who understand the importance of local church and agency autonomy (as it does now). But we have seen at the International Mission Board what happens when an individual board of trustees acts without Convention approval and inverts historic Baptist polity by declaring they have "authority" over local Southern Baptist churches. God forbid that the spirit of the SBC Executive Committee ever becomes like the spirit of some of the leaders on the 2005 International Mission Board regarding "authority" in the SBC. Church autonomy meant nothing to them. Local church authority was insignificant. "We" have the truth, and you better follow "us" or you are not a real Southern Baptist and cannot cooperate in Southern Baptist missions. In a similar manner, there were a few SBC agency heads and trustees who complained during the "sole membership" debate that the Executive Committee was taking over "their" authority as independent, autonomous Southern Baptist boards and agencies. In my opinion, they were right. BUT, the EC may have learned it from agency boards who have been doing the same thing to local churches. Prior to 2005, for any Southern Baptist entitity to be dissolved, merged, or sold, it required agency trustee approval. The only "control" the Southern Baptist Convention had over individual agencies prior to the 2005 "sole membership" vote was the appointment of agency trustees. This, however, did not seem enough to some conservative Southern Baptist leaders. Afraid of the actions of rogue Baptist trustee boards, the Southern Baptist Convention pressed for "sole membership." The cause for concern included Baptist agencies in Texas, including Baylor trustees who voted to cut ties with the Convention. Likewise, in Missouri, five Baptist agencies separated from the Missouri Baptist Convention. Concerns over "liberal" moves among Southern Baptist agencies have led our Convention to adopt a centralized form of control that may one day, in practice, destroy the fabric of Southern Baptist polity as we once knew it. 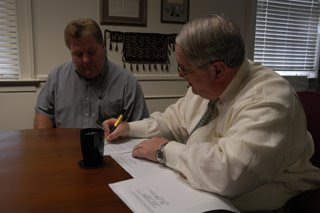 Dr. Chuck Kelley, pictured here signing the documents handing over the assets of NOBTS to the SBC Executive Committee (Update: please see Augie Boto's comments after this post where he states my conclusions in this paragraph and the next three are erroneous), vigorously opposed "sole membership" because he knew the Executive Committee of the Southern Baptist Convention could one day close New Orleans Seminary, sell the assets, and the trustees of New Orleans Theological Seminary would have no say in the matter. Dr. Kelley said during the debate over "sole membership." Sole membership is a step toward the centralization of control authority," Kelley said. "It is not the size of the step but the direction of the step which causes our concern." He pointed to a story the seminary submitted to Baptist Press, in which Kelley said BP "refused to print a brief statement from the trustees ... explaining to Southern Baptists why they did not want to do sole membership." I sympathize with Dr. Kelley. If hurricane Gustav had destroyed New Orleans, or if hurricane Hannah turns west and brings flooding to New Orleans, or if another future hurricane brings devastation to the city which hosts New Orleans Theological Seminary, the Executive Committee in Nashville, Tennessee, NOT the board of directors of NOTBS, could vote to sell, merge or otherwise close the New Orleans Theological Seminary - without the seminary's trustees approval, OR Southern Baptist Convention approval. Attorneys for the Executive Committee would argue that the Executive Committee IS the Convention between Conventions, and legally, they would be right. But it is really dangerous when just a few men control entire Conventions or autonomous churches by their personal whims or feelings. One day the Executive Committee just up and get tired of rebuilding New Orleans Seminary (as some IMB trustees seemed to tire of missionaries who prayed in tongues), and they very well might shut it down. The New Orleans President and NOBTS trustees may wake up one day and wondered what happened to their seminary. Where did "their authority" in answering the question of whether or not New Orleans Seminary should remain open go? They might just feel a little like what an autonomous Southern Baptist church feels when a Southern Baptist agency forbids to appoint a missionary candidate whose baptism by immersion, which the church accepted, has been rejected. The missionary candidate's baptism, which meets the qualifications of the concensus doctrinal statement of the Convention (the 2000 BFM) - but doesn't meet the personal doctrinal whims of IMB trustees. The Board of Trustees of the IMB just might justify their actions by saying, "We are a higher authority than the local church and we don't have to accept the missionary's baptism if we don't want to accept it." When those kinds of twisted, distorted views of authority are allowed to stand, then we are all in trouble as a Convention. As much as I dislike saying it, it might take a hurricane for Southern Baptists to finally realize that the historic principle of Baptist autonomy is in danger. If demands for doctrinal conformity on matters non-essential to the gospel don't wake up the Southern Baptist congregations, maybe a decision to close a Southern Baptist seminary, bypassing the authority of the seminary's own board of trustees will wake us up. Then, again, maybe not. If people don't care about the authority of a local church, the HIGHEST authority in our Convention, why should they ever care about an agency who has lesser historic Baptist authority? 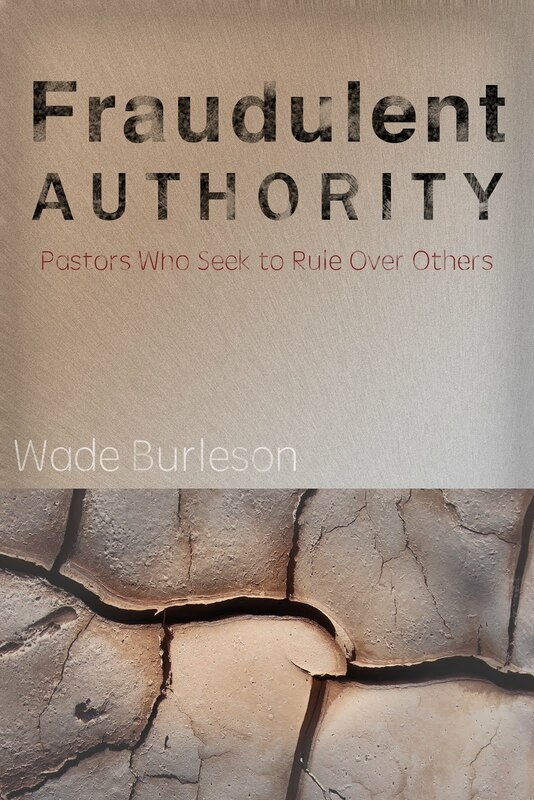 Or, even worse, it could be that Southern Baptists have no concept of local church authority and autonomy and how authority flows up, not down. I sometimes wonder if modern Southern Baptists even care about historic Baptist principles such as local church authority and congregational autonomy. I won't, however, stop trying to make my fellow Southern Baptists care.